Our Faith should never be taken for granted. We’ve heard it before…. if we are not climbing up the ladder, we are most assuredly moving backwards. There is no standing still. Just lately I have come across the term “the law of gradualism”. It is a daunting thought that if we do not make the effort to protect our faith, if we do not guard it from the onslaught of the world, it will slowly be chipped away until lukewarmness sets in….maybe even loss of the faith. Gradually, gradually…..
We need to take heed those who we hang out with, the books we are reading, etc……making sure they are wholesome choices…..or it can all add up to “the law of gradualism” that will slowly strangle the taste we have for spiritual things, and lead us out of the Arms of God. 1. FAITH is certainly so precious and supernatural a possession that no earthly good can be substituted for it. As innocence is the maiden’s fairest ornament, so is faith her most precious possession. It resembles the glorious light of the sun; which cheers and animates all created nature. How sad and gloomy, how cold and unfruitful would the earth be without this light! But far sadder would our life be without the divine light of the true faith. Therefore the first and most important affair of your life is to preserve this light, this precious treasure, with the utmost care. And this is no easy matter, especially in the present day, when unbelief is gaining ground with terribly rapid strides. Therefore mark well what you have to do in order to acquit yourself of your most important duty, in order to preserve your most precious possession — the holy faith. 2. The first thing is to attend diligently to religious instruction. In its origin, faith is a gift of grace, and this grace is imparted first of all in holy Baptism, for Baptism makes man a Christian. Consequently you must set a high value on the word of God as announced to you in sermons and religious instructions, and not absent yourself from them on any frivolous pretext. Whenever you are about to listen to religious instructions be careful to recollect yourself, and invoke the aid of the Holy Spirit, in order that He may prepare your heart to receive the divine word. Afterwards apply what you have heard to yourself, not to other persons, and make it the guide of your life. In this manner you will not merely keep your faith, but be more and more confirmed in it. 3. The second means of keeping the faith is to live in accordance with its teaching. The more earnestly you strive to practice the precepts of the Gospel, the more will your faith be strengthened. The harder the blows dealt by the hammer, the more deeply the nail is driven in; similarly faith becomes all the deeper, firmer, and stronger, the more carefully its teaching is observed. 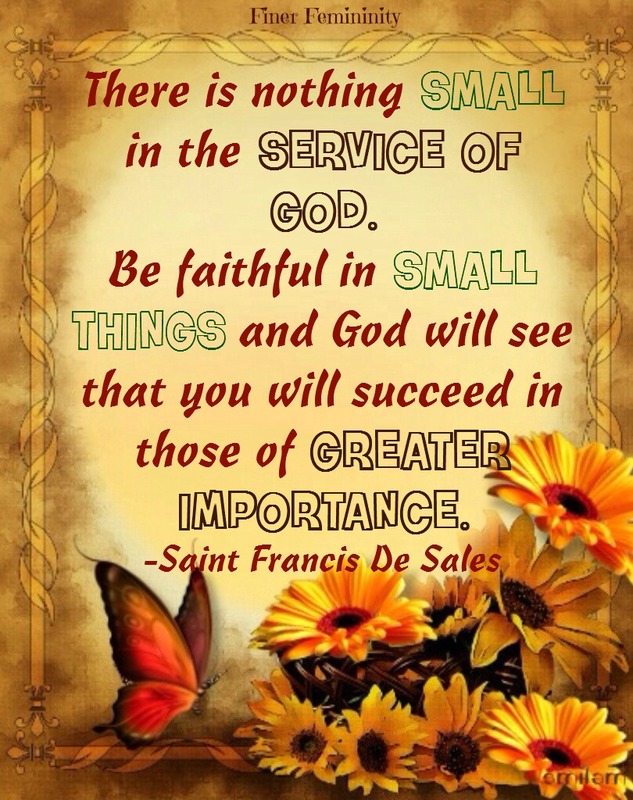 The Japanese whom St. Francis Xavier converted in the sixteenth century grew and became strong in the faith in a manner which was nothing short of marvelous. But this was only the natural result of the extreme zeal they displayed in the performance of their Christian duties. For every kind of virtue was practiced by these recent converts in great perfection. Their holy zeal was wonderful indeed, and so conscientious were they that it was not easy to soothe their distress whenever they fell into even trifling faults. Do you, my daughter, imitate their bright example, and be earnest in the fulfilment of your religious duties? As soon as you grow careless in this respect, in an equal degree will your firm, undoubting faith become weaker. 4. The third means, namely, the avoidance of sin, is inseparably connected with the second. In order to keep the faith it is indispensably necessary to avoid everything which is of the nature of sin, and to lead a life which is pleasing to God. 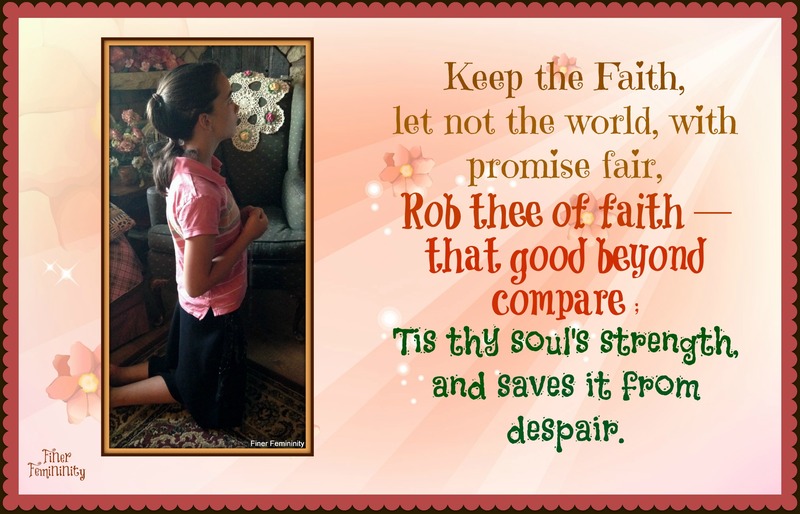 For faith can never long dwell in a heart defiled by sin. And here listen to a parable. A wealthy Greek carefully selected a cask and filled it with the choicest wine. In order to protect himself against thieves he affixed his seal to the mouth of the cask. However, in spite of his precaution, a cunning slave bore a little hole in the bottom of the vessel, and thus succeeded in getting at the wine, being able to close the aperture without much difficulty. His master frequently broke the seal in order to partake of the wine, but he always replaced it. Ere long he perceived that the wine was rapidly diminishing, but, as the seal remained unbroken, he was at a loss to account for this. The mystery was solved by a friend, who said to him: “No doubt someone draws out the wine from beneath.” However, the foolish man could not understand this and absurdly protested that the wine was not deficient at the bottom but at the top of the cask. 5. This is a very old story, for it is related by the heathen sage Hierocles. But it constantly repeats itself in regard to a widely different subject. Faith in God, in His Divine Love and saving doctrine, is the precious wine which renews, elevates, ennobles, gladdens and strengthens the life of man. No, it is from beneath that the decline of faith proceeds. It originates in the lower region of life, that, namely, of sensuality and the baser impulses. Guard against them, my child, and beware lest you become their slave, and thus your faith be endangered. 6. But the chief means of preserving a firm and enlightened faith is prayer. Faith is a gift of Divine grace, as Isnard, a Frenchman who lived in the beginning of the last century, learned from experience. During the great French revolution he totally lost his faith, and became a so-called freethinker. 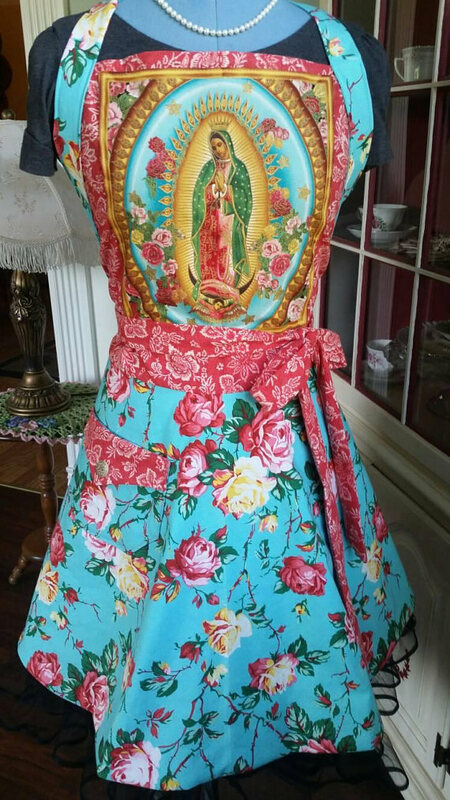 Sweet “Queen of the Home” Apron available at Meadows of Grace!